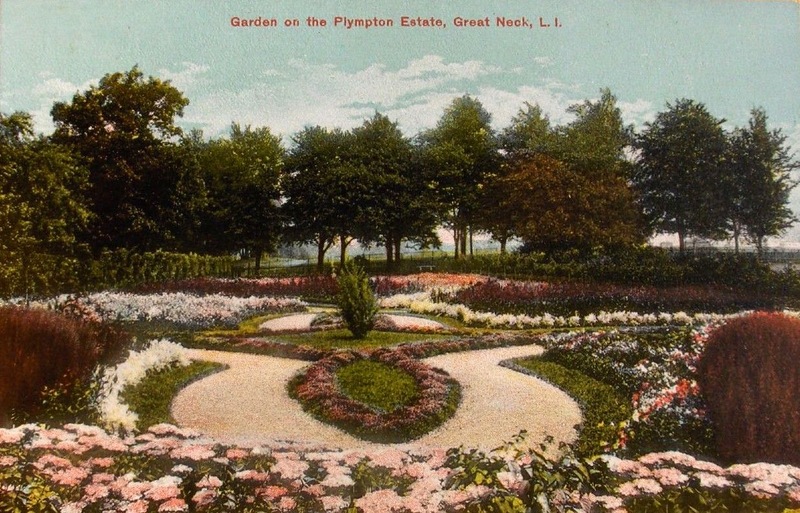 In the garden of 'Wyndtryst', the George M. Plympton estate built c. 1898 in Great Neck. Click HERE for more on 'Wyndtryst'. Off topic, but does anyone know of any photos of Villa Francesca in Setauket? It was the home of framed classical muralist, William de Lechfeld Dodge. who designed the interiors and gardens. Was for sale in 2009 so there might be listing photos online. Sold for under $4M. I think Google map will show you part of the estate has been developed and an unusual outer with elliptical room with surrounding gardens has succumbed to a large replacement house. The Bing satellite view still shows the original estate intact.